Negotiation. Haggling. Arbitration. Ugh! Am I right? Do you find it annoying when you have to go through those automated machines before you can talk to a real person? Does it make you nervous talking on the phone with customer service reps? Is this one of your least favorite tasks to do, in the entire world? I’m a shy introvert, and I don’t like confrontation. So, having to call and talk to customer service reps is a daunting task and I’ve been putting it off for too long. But when I kept thinking of all the money I could possibly save, I just had to do it. 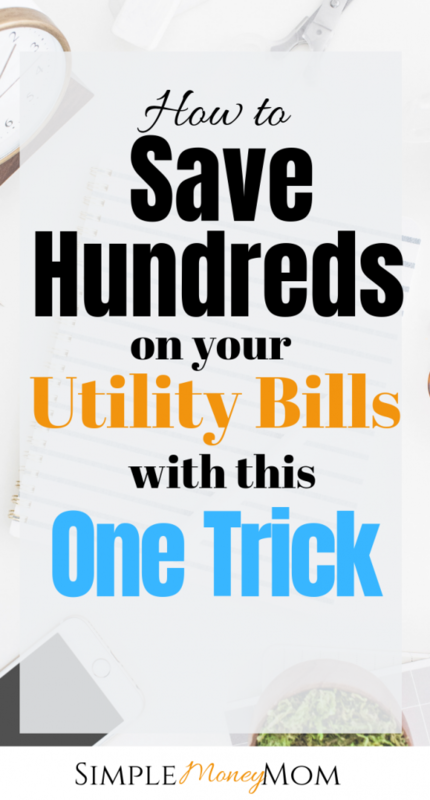 With just one call to each of your utility bills, you can save hundreds. I’ve managed to save $675 so far! It only took me 2 hours to get it all done. Think of it this way, if you could make $338/hr in your free time would you do it? Here’s how to negotiate your utility bills so you can save big too! Go in with the mindset that everything is negotiable. Include your current payment, company name and contact information, a place for new payment and notes so that you can write down who you talked to and the new agreements. Many times, there is a deadline for the new discount which can be anywhere from 1 month to a year. Keep note of this and mark it in your calendar so you can call back for another discount. Know what others are paying in your area. Having this information gives you the leg up because you know if what they are offering is a good deal or not. Don’t forget to calculate the fees that go along with terminating the service or starting a new service. Many times, terminating a service will cost a fee and the amount you will save with the other company won’t cover the cost of that terminating fee so it won’t be worth it to switch. Of course if the competing company offers to pay the terminating fee or offer you money for switching then it could be worth it. These companies are Verizon, Sprint, T-Mobile. AT&T. Many companies know it is harder to gain a new customer than to keep an existing customer. This is because most people are loyal and most people don’t want to deal with the hassle of changing companies. Also early termination fees tend to keep people around. I mean, who would want to pay an extra $250-$650 to leave? Is it a promotional offer, like free HBO and Showtime for a few months? Is it less service, like downgrading your internet speed or amount GB data? Or is it a simply lowering your rate? Many times, companies will try to offer you free “extras” but then hit you with that bill when you forget that the promotional period is over. Make it clear in the beginning that you don’t want more, you want less and to be able to pay less for the same service if that’s what you want. Do you have an existing contract? When does it end and what are the early termination fees? What channels are included in your agreement? How much data do you have and how much of that data are you actually using? This information will help you determine whether the representative offers you a good deal or not. The retention department is employed with people who are supposed to do the best they can to keep your service. Asking for this department cuts on time and allows you to get to the point. Knowing what to say and what words to use when you aren’t a natural haggler can be challenging. Some people have gotten away with being rude and demand a lowered rate but that’s not guaranteed. Like I said before, I’m not a confrontational person especially if it’s fake. So, my approach is to the point and much nicer. It’s worked for me and I’m sharing it all with you. “Good afternoon, what is your name?” -make sure to get their name and address them by it. It fosters accountability. While they are having you wait, strike up a conversation about where they live. Most likely you will get something to talk about. If not, talking about upcoming holidays or when their shift is over helps stimulate a conversation. “Thank you so much Natalie! You have helped us so much. I will be sure to give you a good rating.” -having a good experience will help you in the future. These people deal with upset customers all the time so having a nice person is a breath of fresh air. “How much would it cost to cancel my service? I don’t really want to leave the company because I enjoy the service but company X is offering X amount at this time. Do you think it would be possible to match that amount? If you feel like you aren’t getting anywhere, simply hang up (I mean, don’t hang up on them but say that you’ll have to call back), take a break and call again. The focus of this is to save money. Use that as motivation to save money. If you feel discouraged, it’s okay to take a break. But get back into it, you’ll be happy you did. You got this! I hope this motivates you to call your company and save more money. Let us know how much you have saved simply by negotiating your bills in comments below. 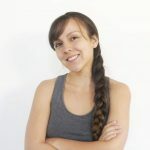 If you are looking for additional ways to save on utilities, check out my friend over at Healthy Happy Thrifty Family for some great tips! « How to Make A Zero Based Budget that Works! Thank you Jacqueline! I learned these by doing them and listening to others. The “call and threaten to leave” or the “call and complain” deals didn’t work for me as I am super passive. So I just called, was nice, and straight up asked for a discount and got it! I didn’t think it would be that easy. Then, just did my research to make sure I was getting the best deal. I never knew that this is something you could do. Would come in handy for those who need to save. There were a few things that I didn’t think I could negotiate either! Like my trash service. Who would have thought? “If you feel like you aren’t getting anywhere, hang up, take a break and call again.”, I need to remember this when dealing with this kind of thing… or for life in general! haha These are seriously fantastic tips. And I love that you’ve included a script. So helpful! Haha! I can see using it for life in general too. Thank you Inez!